Wouldn't it be amazing if eating a box of fat-free cookies did as much for our waistlines as eating cooked vegetables? Unfortunately, it's not quite that simple. We've come a long ways since the fat-free diet philosophy became one of the most popular approaches to losing weight. And while it is true that cutting some things out of your diet is a good idea, it also turns out that eating certain fats can actually help you lose weight. Yup, you can have your fat and eat it too! You may have heard the term "healthy fat" thrown around, but what does it mean? By definition, a healthy fat is a monounsaturated fat, known to be good for your heart and to help improve cholesterol levels. They are found in a variety of foods and oils and as some studies show, can even aid with weight loss. So now we know what a healthy fat is, where do we find it? Luckily, for us, healthy fats aren't super exotic or hard to find. Below are some examples of foods chock full of healthy fats, and tips on how to lose weight eating them. Can Eating Nuts Help You Lose Weight? According to a study published by the Nutritional Journal, eating avocados is associated with improved overall quality of diet, as well as a reduced risk of metabolic syndrome. 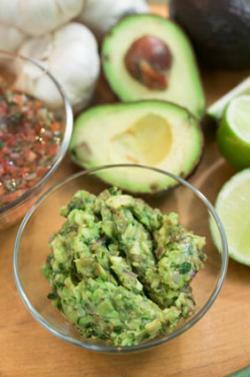 Try adding a slice or two to your sandwich or salad or do it the fun way with this delicious guacamole recipe. According to a study in the Journal of the American Heart Association, eating 1.5 ounces of almonds a day helped to reduce belly fat. Hello, eating to slim our midsection? Count us in! While popping a handful of almonds a day is a great snack, an even more fun snack is anything with almond butter. A quick and delicious option is a sliced apple with a tablespoon of almond butter. If you really want to make it decadent, try drizzling a little honey on top. Aside from its high protein content, salmon is loaded with omega-3 fatty acids, which are known not only to help prevent risk of obesity but according to the Nutritional Journal, can also stimulate leptin production. Leptin is a hormone that works with your metabolism and can also help you feel full. 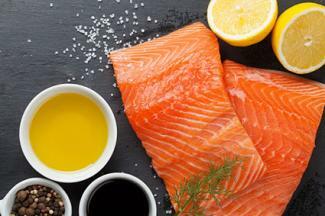 Try adding one meal with salmon to your diet per week. These recipes should help keep things interesting. 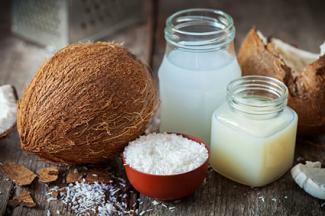 Coconut oil is kind of like the Taylor Swift of the health food world. It seems as though it can do no wrong. So how can eating this superfood help you slim down? The first thing you need to know is that it's made up mostly of medium-chain fatty acids as opposed to long-chain fatty acids. In a study published in the European Journal of Clinical Nutrition, eating one to two tablespoons of medium-chain fatty acids actually increased the amount of calories burned per day by 5 percent. Not only that, but medium-chain fatty acids can make you feel just as satisfied as a regular old fatty acid, but with a lot fewer calories. If the word diet drums up thoughts of tiny little plates of salad and hunger pains, you're going to love what we're coining as the Jedi Fat Trick. Aside from boosting your metabolism, healthy fats can also help to trick your mind into thinking you're full. 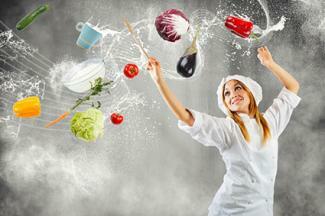 Try cooking a lightweight dinner with coconut oil or avocado oil for long-term satisfaction. Or, swap out an empty carb snack, such as a bag of chips, with something a little more substantial like almond butter on whole grain toast. Want something sweet? An avocado chocolate mousse will definitely hit the spot. While you may be thrilled about the idea of being able to eat fat and still lose weight, just remember that every indulgence, even the healthy ones, should be done in moderation. The key is to be patient and remember that consistency is the best way to see results. Bon appétit!